Fenix is now a BungeeCord Network! You will notice lots of weird, unexplainable things... in short, Fenix is now a network. 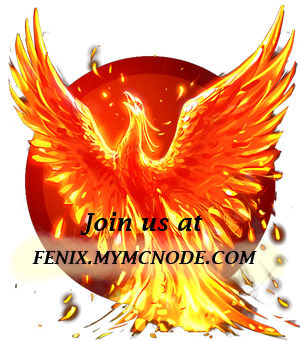 Use /server to see where you can go, and /server fenix2 or /server skillz to get to our two respective servers. Note, it is still in EARLY beta, so bugs are to be expected, please report any bugs ASAP to the forums, or by mail to me ingame, or to a staff member online at the time. 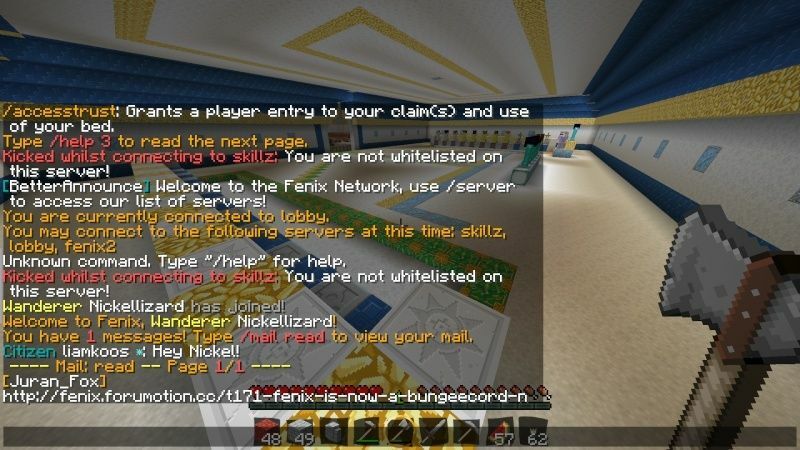 I know your still setting up links ... its says I'm not whitelisted when i attempt to connect to skillz. Thank you for that btw, I had completely forgotten about the whitelist we setup when we were putting the server back together. Thank you Juran and Nate as well as any others that had a part, and for putting so much time and effort into making the server adaptable and ready for the Skillz server to join. You guys have done an awesome job! Thank you so much for all the time and work you put into making Fenix an even better server. Thank you so much! Subject: Re: Fenix is now a BungeeCord Network!